Just an ordinary morning start today, listening to Today FM from the National Ploughing Championships. All very upbeat until Paul Collins suddenly came back on air to relay the sad news of the passing of Jimmy Magee. A death which has saddened everyone here in Ireland from all walks of life. You did not have to love sport to not love Jimmy Magee; charismatic, genuine, jovial, communicator, sports broadcaster beyond reproach. Jimmy had it all. My childhood memories were in the 80’s and Jimmy Magee was a prominent face on the television in my family homestead. His commentary of numerous Olympiad were instant standouts; describing great Irish sporting performances abroad. John Treacy in Los Angeles was a particular standout; remember a sunny summer’s day in North Clare at my grandparents and news was filtering through of an impending Ireland medal at the Olympics. Quick, switch on the television and my grandparents and I sat captivated by the marathon event for the next two hours, assisted in no small measure by the commentary from Jimmy Magee. I remember the Wanamaker Mile race commentaries when the likes of Eamon Coughlan, Frank O’Mara and Marcus O’Sullivan would produce superb performances in the acclaimed Madison Square Garden, New York. Stirring commentaries; captured the excitement of the event perfectly. Katie Taylor in London 2012 when Jimmy expertly called the action in the boxing ring; providing knowledge and assurance in a language which was so eloquent but yet discernible to all viewers of the broadcast. I loved Jimmy’s style of commentary particularly when it came to boxing, a sport which requires so much knowledge and insight. Many commentators have tried and utterly failed at delivering a coherent boxing broadcast. Jimmy was the standard bearer from my perspective; his knowledge of athletes was second to none. He loved commentating on the Cuban boxers whose footwork, hand speed were sublime. The boxing angle continued well into 2000’s when RTE took the step of broadcasting professional boxing bouts. Bernard Dunne’s world title victory against Cordoba was an astonishing fight in 2009; ebbed and flowed throughout but the commentary from Jimmy Magee captured the atmosphere and scene perfectly. Jimmy Magee was the blueprint, the template which all other Irish sport broadcasters and journalists were compared against. Jimmy Magee entered the world of evening television with George Hamilton hosting Know Your Sport. The ‘Memory Man’ was in his element; posing questions on various specialized sporting areas. No sporting area was out of the bounds. The entertainment value was superb; sad to see the show end in 1998. A genuinely entertaining sports show in Ireland. 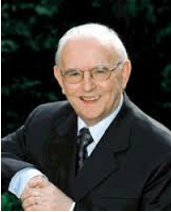 FIFA World Cup’s for me personally were forever associated with the commentary of Jimmy Magee. His first world cup commentary was in 1966 and continued until 2010. The commentary on Diego Maradona’s wonder goal against England in 1986 was as he said different class! Ireland has lost a true sporting broadcasting great today. Ireland has lost a journalist of massive reputation and class. Ireland has lost a national treasure today. I have not even mentioned about his extensive publications and press columns. His articles were always incisive and would refresh the memory on a specific event gone by. Gone but never forgotten. Jimmy Magee. RIP. Sunday afternoon. 1pm. I am in Kilkenny and eagerly awaiting the start of Munster’s European Cup campaign against star studded Racing Metro in Paris. Then an avalanche of text messages from friends both at home and in Paris for the game that unthinkably Munster Head Coach Anthony Foley had passed away at the young age of 42. Anthony Foley. Words that spring to mind are integrity, work rate, leadership, motivator, Munster. Foley and Munster were interlinked; the first European Cup match at Thomond Park against Neath / Swansea featured Anthony Foley, a Shannon RFC player whose game management, tactical nous stood out even in the presence of leaders such as Galwey, Clohessy. Foley was a pivotal link between the amateur days and the newly emerging professional paid ranks. Foley never forgot the traditions of amateur rugby based on honesty, work rate and supporting your team mate throughout through thick and thin. From his position in the back row, Foley processed calmness under pressure to make the right calls at the right time; when to put points on the board or when to put more pressure on an overworked opposition particularly in Thomond Park. Shannon RFC, whose clubhouse is located beside the hallowed Thomond Park stadium was the starting point for Foley in his adult playing career. The St. Munchin’s student caught the eye in several AIL triumphs; his battles against players such as Victor Costello were to the fore; his leadership in the closing stages of derby tussles against Garryowen and Young Munster contributed in no small part to their prolific success on the pitch and you sensed when watching Foley even at this early stage of his career that international caps were not far away. Foley’s international career was a mixed bag; initial promise led to an unexpected exile from the national setup for a couple of years until Gatland / O’Sullivan came to the fold and provided the Killaloe native with a second opportunity to shine, an opportunity he took with both hands. His nous in spotting gaps on the blindside, his ability to support the ball carrier stood out. Anyone who ever went up against Foley knew they were in a battle; the respect from NH / SH players past and present speaks volumes in the tributes today. 2006 will be regarded as the pivotal moment in Foley’s playing career. Munster’s final win against Biarritz laid the ghosts of previous season failures; the hand of Back, the Wasps semi-final tear jerking reversal were in the past. Foley’s tackle count, ability to motivate his troops after the early try concession were paramount in Munster securing the elusive European crown. He was the general that led from the front on that afternoon, no-one in Munster will ever forget that, never. 2008 was a continuation of the groundwork laid in previous years by players such as Foley. 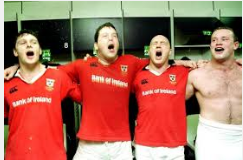 Paul O’Connell and Ronan O’Gara took up the leadership mantle but when required Axel Foley words came again to the fore; assertive words, assertive action. The pack and back row grew in stature in that season. Wallace, Leamy, Quinlan and Foley set the tone with breakdown dominance and disrupting opposition ball. Foley’s playing career was glittering and his leadership qualities on the pitch were ideal attributes to transition into the coaching side of the game. Rob Penney provided Foley his opportunity to advance his coaching credentials; his forward coach assignment taken with vigor albeit Munster’s style of play was evolving from pack orientated dominance to a more expansive style of play. When Penney departed, the appointment of Foley was greeted with positive feedback by and large from the Munster faithful. Foley was a natural fit to lead Munster in a period where the balance of provincial power had shifted to Leinster with their domineering running rugby under Joe Schmidt. The debut season was promising; Munster went back to core beliefs and emphasize on the pack. The European Cup campaign was disappointing but the Pro 12 final appearance suggested that the squad even though inexperienced would grow in the second season. Last season was unfortunately a disappointing season for all concerned with Munster Rugby. Foley’s decision to not give JJ Hanrahan an opportunity to stake a claim for the ten jersey irked some supporters (including yours truly on this blog), a position for which Munster struggled massively last season. The inability for the pack and back line to adopt a game plan which exhibited any kind of continuity rested on the coaching ticket. Munster’s financial plight did not help to recruit talent and the fact that Foley did not have any experienced coach to assist in a troubled season was damning; the introduction of Andy Farrell was too little too late for Foley last season. Foley would have being forgiven not to leave stage left and look for other ventures to pursue but his decision to continue working for Rassie Erasmus in a new look coaching setup this season spoke of a man who had truly immense love for the province, truly immense love for the Munster Rugby club and a truly immense pride for where he was from. It was a noble move considering the demotion from the director role. Perhaps, Foley would have returned to the top Munster managerial coaching job in time and excelled but it is what-ifs now regrettably. Foley’s international coaching stints with the Wolfhounds and the national side cannot be underestimated. Foley did provide Munster youth an opportunity when in charge of the province. Jack O’Donoghue, Ronan O’Mahoney, Scannell brothers, Johnny Holland were all given debut caps under Axel. CJ Stander as an eight excelled under Foley’s guidance after a slow start to life in the province. This is a truly devastating day for anyone associated with rugby and sport, where it be with Killaloe, Shannon RFC, Munster and Ireland. Munster have lost a man whose passion and pride for the province held no bounds; a leader of men whose words resonated in a dressing room, a man who never let anyone down, a man who in time would have climbed back to the director role and right the wrongs of last season. The ensuing funeral in Limerick and Killaloe this week will be unparalleled. Foley’s loss is immeasurable; the last link between the amateur and professional rugby era of Munster is lost, all too short. Deepest condolences to his family and many friends. Gone but not forgotten.